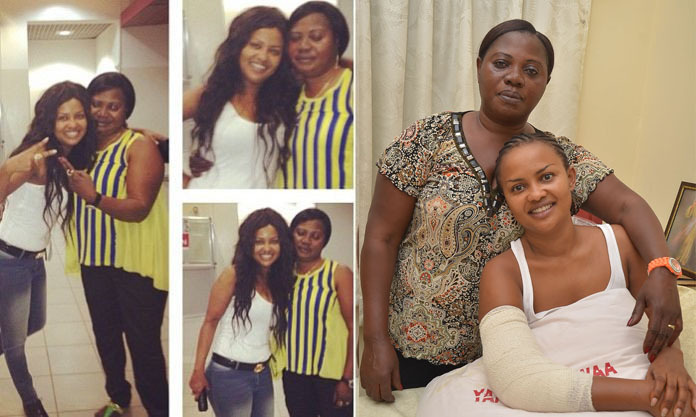 Not long ago the 44-year-old beautiful Kumawood actress born Felicity Ama Agyemang but popularly known as Nana Ama McBrown lost her aunt who she also considers as a ‘mother‘. The late aunt, Madam Betty Obiri Yeboah, Ghpage.com gathered is very dear to the actress because she provided her with a stable and caring home when growing up. However, we at Ghpage.com took it upon ourselves to go in search for Nana Ama Mcbrown’s biological mother.At least, to also celebrate and thrown light on the woman who carried the amazing and talented entertainer in her womb for 9 months. 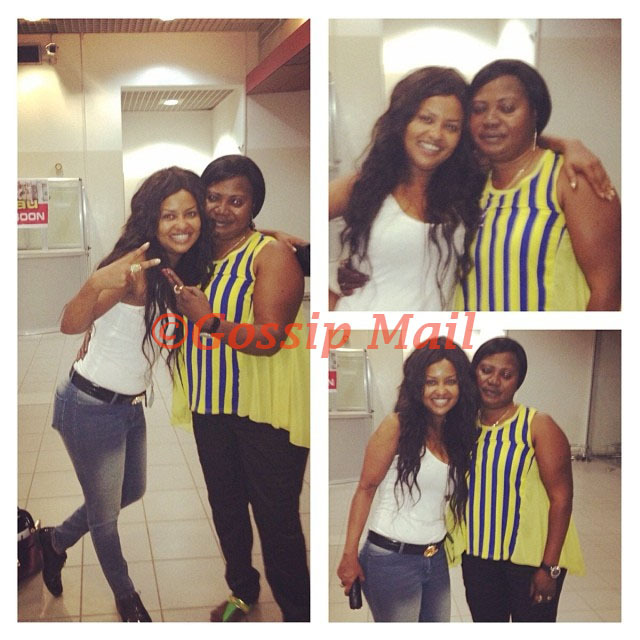 Nana Ama McBrown’s biological mother as we stated in the title is Madam Cecilia Agyenim Boateng. With her father gone and her mother unable to take care of her and her six other siblings, Nana Ama together with her siblings was adopted by Kofi McBrown and her aunt, Madam Betty Obiri Yeboah. As a result, Nana Ama considers her childhood to have been difficult. Along with her six siblings, Nana Ama grew up in Kwadaso, Kumasi.Nana Ama attended St. Peter’s International Residential School, moved on to Minnesota International and then to Central International. She continued to Kwadaso L.A. J.S.S, completed and went to Prince of Peace Secondary School all in Kumasi. Later, she attended the College of Business intending to become a secretary.She then became a makeup artist until fame found her.